There are very clear rules about what can and can’t be said during debt collections. The debt collection industry is governed by so many rules and regulations it could make your head spin. That’s why do-it-yourself debt collections can quickly get a company into hot water with state and federal regulators. What are the rules that govern debt collections? What are debt collection agents never allowed to say and do? This article explores common mistakes businesses make when attempting DIY debt collections. Threaten to tell a boss, coworkers, or family about a past due balance. While you can contact work to try to find the customer, never share details about the debt to any third party. Threaten to arrest the past due customer. Don’t say, “I’ll just keep calling you.” Legally, you can’t call the person before 8:00 am or after 9:00 pm. If you call the customer at work and they ask you to stop calling there, you have to comply, however, the request must be in writing. Understanding the rules means following federal legislation called the Fair Debt Collection Practices Act and the guidelines set by the Consumer Financial Protection Bureau. Understanding debt collection rules is important for avoiding federal and state penalties. If all this seems like a lot of rules for you to keep track of, you would be right. Debt collections are a highly regulated activity that makes it risky to take a DIY approach. The good news is that there are services like TSI to help ensure debt recovery that complies with all rules and regulations. Our proven system is compliant, effective, and guaranteed. Various government agencies provide guidelines that help ensure that consumer rights are protected. There are specific practices that collectors must always avoid. Attempt to collect charges in addition to the debt. That is, unless they are allowed by contract or specific state law. Deposit a post-dated check early. Use language or a symbol on the envelope of a letter that indicates the correspondence is from a debt collector. Consumers have rights that must be honored, which is why strict guidelines and regulations govern debt recovery practices. Not only is it essential that debt collectors treat consumers with respect, in addition, there are specific practices that collectors must always avoid. For instance, did you know that an individual can send a “cease and desist” correspondence to a debt collector – which means the debt collector is required to stop contacting the customer. The problem stems from an overly aggressive debt collector that goes after the customer over and over again in a short amount of time. Under federal law, this is considered harassment and if the activity continues after the cease and desist letter is received, the customer can report the debt collector to governing agencies. Want higher recovery of past due accounts? Don’t put your business at risk by using a DIY approach; instead, put TSI’s simple system to work for your business. It’s convenient and designed with small- and mid-sized businesses in mind, AND interfaces directly with most accounting and practice management software. Before conducting debt collections, make sure you understand the do’s and don’ts of the industry. The do’s and don’ts of collecting debt are a sticky wicket. If you do it wrong, you can alienate potential customers, ruin your reputation, and maybe even pick up a hefty fine from regulators. Playing by the rules means compliance with all laws, certainly, but also collecting debt in a way that treats every customer with dignity and respect. Here are five things to avoid when collecting debt from customers. We’ve heard all the horror stories from collections gone awry. Industry publications such as Inside ARM often report on companies fined by regulators for breaking collection regulations. Our biggest complaint, beyond the fact that these techniques are generally not effective, is that conducting yourself in this manner gives the collections industry a bad reputation. Not good! Don’t stalk your customers. Really! This means you (or the debt collector for that matter) cannot show up at someone’s workplace and demand they pay you. The law also prohibits you from publicizing the debt, too, so even though you want to go on Facebook call out someone that owes you money – don’t. Here is the caveat: You may, respectfully, call the customer at work but you cannot let the other workers know that you’re trying to collect on a debt. Plus, if the customer asks you to not call them at work, you legally must comply. Don’t harass your customers. See #1. But actions such as repeated calls, threats of violence, and extreme language are not only bad form, they’re illegal too. For a small business owner, it feels personal when someone doesn’t pay. But conducting yourself in a professional way will pay off in the long run. There are rules about pursuing debt collections – make sure you follow them. You can’t arrest the debtor. Sorry, we know this may not feel fair, but if a customer is 90-days past due, you cannot call 911 for help. However, there may be legal actions you can take in certain circumstances. You cannot pursue the debtor for things they don’t owe. This happens a lot when the data you have on the customer is inaccurate. So many times we see that the person already paid the debt but the information wasn’t logged properly. A simple mistake can land you in hot water, so use caution and double-check the facts before pursuing a debt. You cannot call at odd hours of the day and night. Did you know there are rules that state you can only call a past-due customer between 8:00 am and 9:00 pm? For small business owners that work hard all day, this means just because you’re up at 7:30 am you can’t squeeze in a few collections calls. If you’re worried about running afoul of the rules of collecting debt, you don’t need to. Contact me today at 888-780-1333, and I’ll show you how to collect more money, cut costs, and stay 100% compliant with all of the many laws and regulations that relate to debt collection. After all…it’s your money! Keep more of it!! Medical and dental practices are hearing more and more about large fines and data breaches surrounding HIPAA (Health Insurance Portability and Accountability Act of 1996). Many are fearful that significant fines could affect their practice, their patients, and their livelihood. Is this a real threat? I believe it is. HIPAA law is confusing and protecting the security and privacy of your patient information is critical. And with the enactment of the Omnibus Rule back in 2013, HIPAA compliance now extends to your Business Associates. The Ponemon Institute states that 39% of all Business Associates have experienced a data breach, and in one case a practice was fined $31,000 for not having a Business Associate Agreement on file. That’s an expensive document! As HIPAA Compliance Specialists, a day rarely goes by that we don’t receive questions about Business Associates. “Who’s a Business Associate?” “Do I have risks if I don’t have execute the proper agreements?“ What does my practice need to do?” In fact, out partners at PCIHIPAA created a HIPAA Webinar Series for our clients to help answer these questions. Let me know if you would like more information on this webinar series, and let me help clarify some of these questions. Yes. 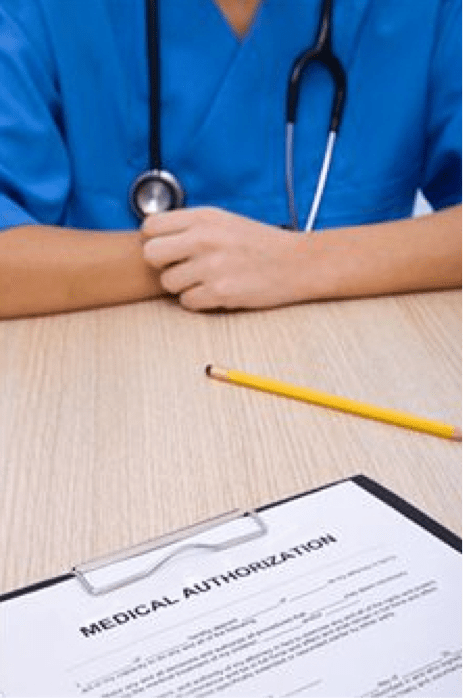 If you are a Covered Entity under HIPAA, you are required to execute Business Associate Agreements. The Health and Human Services website (HHS.gov) defines a Covered Entity as health care providers who electronically transmit any health information in connection with transactions for which HHS has adopted standards. Bottom line: Examples of Covered Entities under HIPAA are: Doctors, Clinics, Psychologists, Dentists, Chiropractors, Oral Surgeons, Podiatrists, Opthamologists, Nursing Homes, Pharmacies, Health Insurance Companies, HOMs, Company Health Plans, and Labs are all considered to be Covered Entities. 2) “Then, who is a Business Associate? A Business Associate as any organization or person working in association with, or providing services to, a Covered Entity who handles or discloses Protected Health Information (PHI) or Personal Health Records (PHR.) A business associate may also be a subcontractor that creates, receives, maintains, or transmits PHI on behalf of another business associate. Think of it this way, if you contract with a person or an entity that needs access to your PHI to do their job, they are most likely a Business Associate. Bottom line: Examples of Business Associates are Lawyers, Accountants, IT Programmers and Representatives, Shredding Companies, Marketing Software Companies, Practice Management Software Providers, Data Backup and Storage Companies, and Billing Companies. Yes. HIPAA excludes conduits of information (UPS, FedEx), governmental agencies (Medicare and Medicaid), and anyone else this is not required to handle your PHI to do their jobs (Janitors, Landlords, Water Delivery Services). Also your employees are not considered Business Associates. They need to be trained on HIPAA, but you don’t need to execute Business Associate Agreements with your employees. A Business Associate Agreement is a binding legal document that is now required under HIPAA for you to execute with all of your Business Associates. It is imperative that your practice has Business Associate Agreements in place, with a log kept for reference. Because your practice (as a Covered Entity) is sharing PHI with your Business Associate, this document ensures that the HIPAA mandates are in place and that your patients are protected. If you use the right Business Associate Agreement, it also includes an “Indemnity Clause.” The Indemnity Clause protects you financially, if PHI is compromised under your Business Associate’s watch. This is a crucial clause that should be included in any Business Associate Agreement you execute. Contact me for more information and/or assistance in creating a Business Associate Agreement (BAA) for your practice. Click Here to take a free, no-obligation, HIPAA Risk Assessment. The results will inform you of where you are compliant and where you are deficient in your HIPPA security. Medical and Dental Practices, What Would You Do? What would you do if your patient data was stolen or a fire or flood destroyed your office? Suppose one of your employees opened a malicious e-mail and your patient data was encrypted and held for ransom? I know this sounds absurd, but just Google “data for ransom”. What would be your first step? With most medical records being stored digitally, it’s not a matter of if you’ll experience an incident regarding your electronic patient information; it’s a matter of when. Technology is moving so fast in every industry, but in the medical industry, technology advancements are leading to more and more protected health information (PHI) theft and data breaches. Patient information is not being properly protected. As you are well aware, protecting your patient’s confidential information is the law. Computers, laptops, e-mail, mobile devices, and thumb drives, all store and send ePHI. Without the proper controls in place, your patient information can easily fall into the wrong hands, exposing your OMS practice to large governmental fines, and reputational risk. HIPAA just announced that they will be conducting random audits starting in 2016. Their pilot audit program revealed that many small to mid – size medical practices are not taking the necessary steps to protect their patient information and are not complying with even the basic HIPAA Security and Privacy Laws. The HIPAA Security Rule now mandates that every practice take an annual risk assessment. The government also strengthened its ability to enforce the law in medical practices with fines reaching up to $50,000 per violation with a maximum $1.5 million annual penalty. This is why Cash Flow Strategies is recommending PCIHIPAA, as a dedicated source for protecting your practice. Cash Flow Strategies has many of our clients participating in their Compliance Program. They have agreed to provide a complimentary HIPAA Risk Assessment (a $599 value). You can take the Risk Assessment online and immediately receive your risk score with no further obligation. I encourage you to take 5 to 10 minutes as soon as possible to complete the Risk Assessment by clicking here. You’ll receive a 23- page Risk Analysis, and a 30-minute consultation that you can also schedule online. Just click here to start your Risk Assessment. It will be a great way to start your practice off on the right track in 2016. INSURANCE MONEY WON’T PAY YOUR BILLS ANYMORE, DOC! I was told today by a doctor that he refrains from pushing too hard to collect from a patient who owes him money, because of all the money he makes on the patient from insurance companies. He is willing to write off patient balances, to keep making insurance money from the patient visits, and doesn’t want to offend the patient into leaving the practice by insisting he pay his bill. This is the general attitude many doctors had 25-30 years ago. It may have had some validity back them but times have changed! Insurance money alone will not keep your doors open and your lights on any more doc. You are putting your practice in jeopardy by not seeing what is happening around you! High deductible health plans are the norm these days, and co-insurance is rising all the time. Despite what the government tells us, there are more and more patients who do not have insurance, or have adequate insurance. Self pay is now the highest payer in the medical world behind Medicare and Medicaid, and it is catching up fast. According to recent statistics, patient balances now represent over 35% of a doctors income and soon, if major changes aren’t made, will be over 50%. You can’t wish it away, or ignore it away. You MUST find a way to motivate patients to pay you, and pay you faster than before. Medicine, whether you like or not, or understand it or not, is a business. You are trading a service for money, and the patient knows it. They also know when you are leaving them alone about their bill so that you can continue to collect insurance money. Not only do they know, but guess who they tell? EVERYBODY!!! And guess what happens? You get all the patients who don’t want to pay their bills. Great! Until, that is, until you watch your patient A/R go through the roof. By the time you see this happen, you are already in trouble. Don’t waste time. There are automated tools to help your practice both maintain your good relationships with your patients, AND get them to pay you their portion of the bill sooner. Call me today at 888-780-1333 and I will tell you about them. Isn’t it worth 20-30 minutes of your time to keep the lights on in your practice over the long haul? A Warning You Need to Read: Don’t Believe in Something For Nothing! Many businesses have been told by their collection agency that they can provide free collections to them simply by adding the percentage fee onto the debtor’s balance as “the cost of collections” In other words, promising prospective customers “something for nothing.” With the high cost of collection agencies, this is a very tempting offer for a business who needs to collect their money and hesitates at paying an agency their typical 30-50% fee for collecting. More importantly than that, the agency is tempting you to violate Federal Laws against usury. The agency is setting themselves, AND POTENTIALLY YOU, up for a law suit and stiff fines and penalties. Even if you put a statement to that effect into your financial policy, you may not charge these percentages to recoup your collection fees. Please take a moment to read this article, copied from the ACA International (American Collector’s Association) website about a recent court case against such an unscrupulous agency. the consumer explicitly agreed to pay a percentage-based fee. would be responsible for a percentage-based fee. before forwarding the account to the collection agency. percent fee when the consumer only agreed to pay the actual costs of collection. In other cases, medical practices, along with the agency, were charged under racketeering laws for the very same offense. The fines and penalties that they were required to pay were astronomical. Please, let me show you a way to avoid the percentages charged by these collection agencies, without running afoul of the law, and while collecting more money than they do in the process. Respond to me through the form below and I will rush you the information on how to avoid these kinds of unscrupulous methods and still collect more of your hard earned money.